Perfect location: The nearest cable car to Mount Gitschberg is located directly next to the Hotel Schmiedhof! If you add the nearby slopes of Val Giovo and the many cross-country trails, toboggan runs and snowshoe paths around Maranza, you may look forward to a truly unique winter vacation. 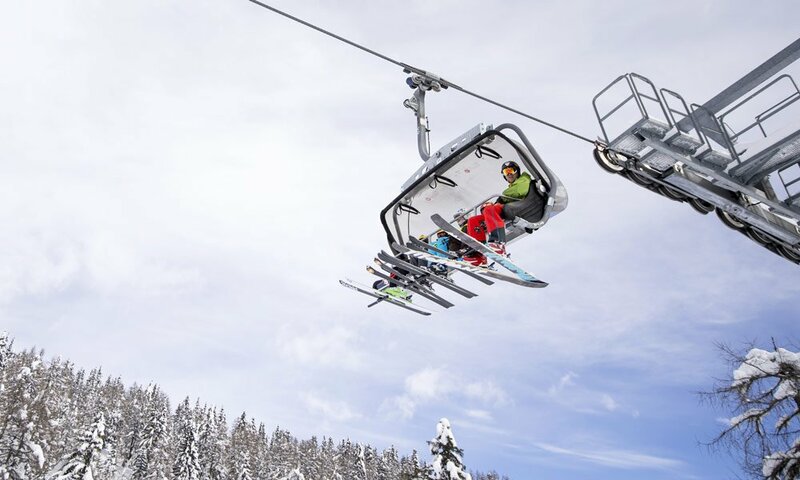 During a skiing holiday in Maranza, you may also find childcare centres with animation, fun and games all day long – while you enjoy the slopes of Mount Gitschberg or admire the more than 500 snow-capped mountain peaks of the Dolomites, and the Ötztal & Zillertal Alps from the 360° panoramic platform. Alpine skiing, cross-country skiing, winter hiking or tobogganing – there are no limits in the surrounding area of Maranza. Furthermore, in the many mountain huts you may indulge in the genuine South Tyrolean hospitality – especially during the Advent it is a beautiful experience. Our large ski area offers the right slopes for beginners and experts. You will always want to come back for another ski holiday to Maranza.